Here's another heavy, solid looking radio, the Astronaut. Starting bid is $25. not junk for sure.in the early 70's radio shack put out a damn good radio. i have another version of the astronaut and its a well made radio. 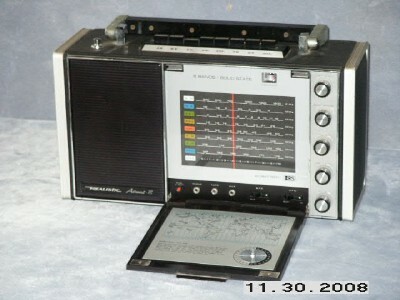 radio shack started to slip in the 80's but theyre quality was up there initially. i think a for more than few years after they split from allied they continued good quality.